The main tower keep of Fukuyama castle. 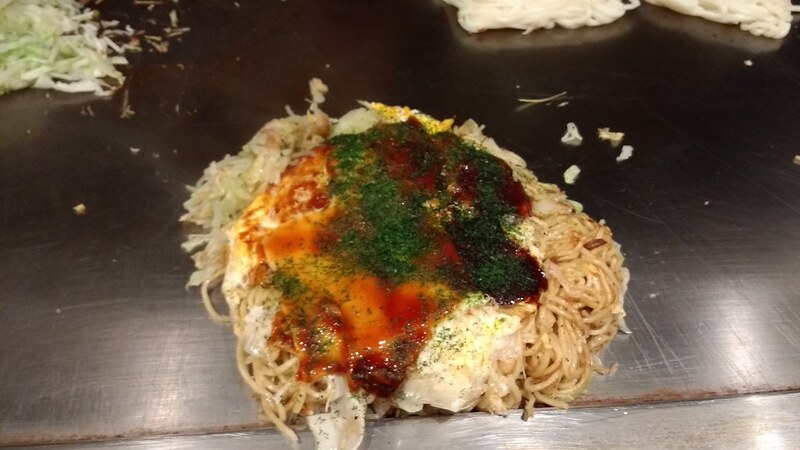 Finally, we decided to say goodbye to Tomo, and so long as we were in the area, maybe try to visit the Hiroshima Prefecture History Museum, in Fukuyama City. Sadly, we didn’t get there before they closed for the day; another thing to add to my list to see next time. But, we did get to see Fukuyama Castle, which was quite special. 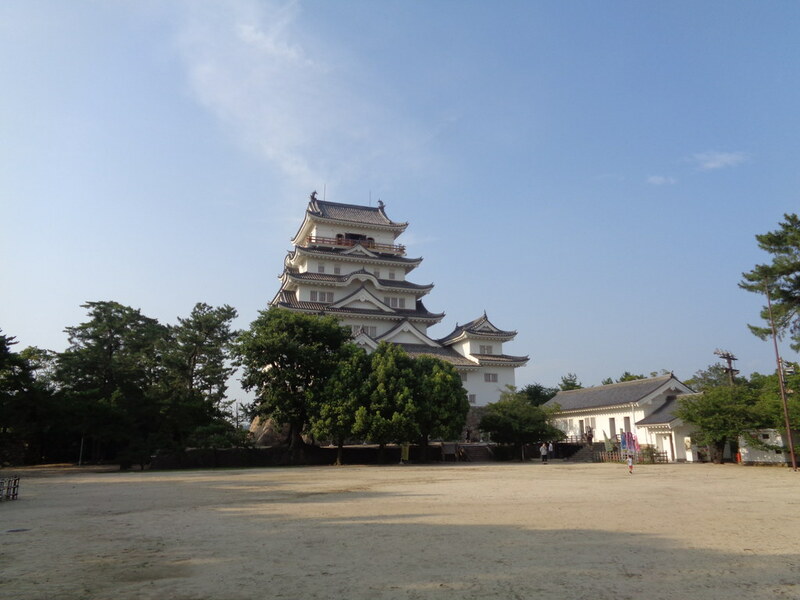 Admittedly, not really all that different from other castles I’ve visited – in fact, the exhibits inside the main tower keep (tenshu) reminded me very much of my visit to Hiroshima castle some 14 years ago. If we were allowed to take photos, or if I had the time and energy to take notes, one could perhaps learn a lot about the Abe clan lords of Fukuyama. But, for me, the key thing about visiting the castle was just simply that it’s another Japanese castle I might never have thought I’d ever visit. I still have never been to Kumamoto, Himeiji, Matsumoto, or some of the other really famous castles, but I have been to castles in a number of major cities that I’ve visited: Edo castle (Tokyo), Nijô and Fushimi castles (Kyoto), Hiroshima, Kanazawa, Fukuoka, Kagoshima, Odawara… To add Fukuyama is just really unexpected, and neat. Plus, they had a statue of Abe Masahiro, who I needed a picture of for the Samurai Archives Wiki. Finally, on my final day in Hiroshima, we again remained in Kure City proper, and paid a visit to the City Central Library. I was surprised and disappointed to find there was no research section – no open stacks of books about Kure or the broader local region. Sure, they had books in the basement, which I could request, and actually the librarians were quite helpful, in bringing up large piles of books on closely related topics, that they hoped or supposed might be useful. But, still, it would have been nice to just have shelves I could browse. Granted, I suppose this is a city library and not a prefectural library, but, every prefectural library I’ve been to has had a more general public area, and then a researchers’ area, with browseable open stacks. In any case, I did manage to get scans of a few publications I might not have been able to find elsewhere – but nothing too special, actually. What would have been particularly nice would have been if I could have gotten access to modern-typeset transcriptions of the Mitarai monjo (“Documents of Mitarai [Port Town]”). But, since I didn’t have an appointment or anything, I guess I shouldn’t have expected too much. Well, maybe next time I head out to Hiroshima, I’ll make a better effort to contact people ahead of time, and make appointments to look at documents. And… wow. Well, that’s about it. Thus, my Hiroshima adventures came to an end.